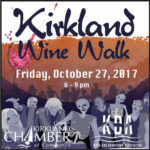 Grab some friends and if you’re daring don a costume and go on a wine adventure of local wineries at downtown Kirkland businesses. Meet the winemakers from 16 wineries and 1 brewery and sip, shop, stroll, and sip some more! 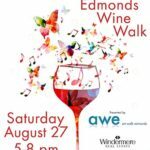 Meet and taste with some fun local wineries while strolling thru Edmond’s historic downtown.